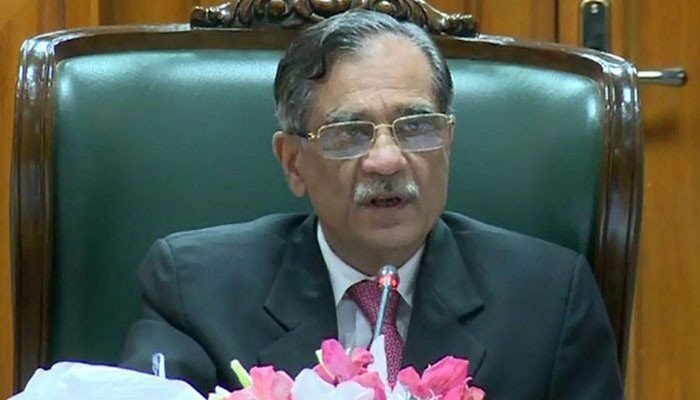 KARACHI: Chief Justice of Pakistan (CJP) Justice Mian Saqib Nisar while hearing a case on houses being bulldozed in the area on Sunday said that those who legally own property near Nasir Jump in Korangi area would have their houses protected. The CJP while assuring the public that justice would be served, barred the Karachi Development Authority (KDA) from razing down houses near Nasir Jump in Korangi. According to the petitioners, KDA had decided to bulldoze their houses as the authority said that the structures were built through china cutting, under which plots of parks and land earmarked for public amenities are sliced for housing structures. The petitioners further complained of being served notices and asked why they were allotted the land if it was sliced through china cutting. The CJP has halted KDA from any further action and sought relevant records from the authority and revenue board. Karachi has been routing out illegal structures for a long time. Many houses and marriage halls which were built on amenity plots have been demolished in the past few months.